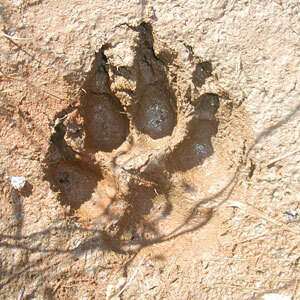 If You Find Yourself Near Yellowstone National Park this June, Speak for Wolves. The establishment of Yellowstone National Park in 1872 is one of the greatest achievements in American history, affording protection to one of our country’s true wild places. Appreciation for this action, and the land it preserved, is being cherished more and more by each passing generation. And Yellowstone is much more than an American treasure; it is an international jewel, attracting millions of people from all over the world every year. Fast-forward 123 years to 1995 and 1996, when the federal government, at the behest of the American people, released 66 gray wolves into Yellowstone. After one of America’s most iconic species was brought to near extinction through hunting, trapping, poisoning, and other government-funded methods in the 19th and 20th centuries, the U.S. Fish & Wildlife Service finally began to recover this internationally beloved species. And, because of its wildness and large size, as well as its complement of abundant prey species, Yellowstone was one of two places chosen to welcome the wolves home. Idaho was the second place. On June 28-29, 2014, people of all walks of life are invited to attend Speak for Wolves: Yellowstone 2014, a 2-day family-friendly celebration of wolves, predators and other native species that contribute to our rich national heritage. 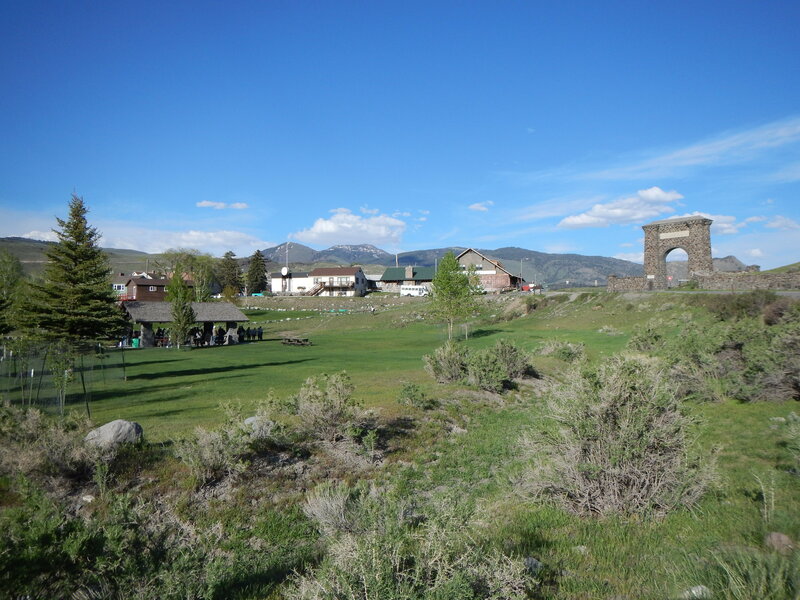 The event will be held at Arch Park in Gardiner, MT, just north of the Roosevelt Arch, near the north entrance to Yellowstone National Park. Speak for Wolves: Yellowstone 2014 will feature prominent speakers and authors from the conservation community, and will include live music, education booths, children’s activities and food vendors. The event is free and open to the public. Please visit the event website at www.speakforwolves.org. In addition to daytime activities at Arch Park, the screening of two wildlife documentaries will occur on Saturday evening, June 28 at 7 pm. The films will be shown at the Gardiner Community Center, which is located at 210 W. Main Street in downtown Gardiner. Organizers will be showing Predator Defense’s film, Exposed: USDA’s Secret War on Wildlife and Project Coyote’s film, Coexisting with Wildlife: The Marin Livestock and Wildlife Protection Program. The films will be followed by a panel discussion composed of conservationists and scientists. The films are free. Speak for Wolves: Yellowstone 2014 is an opportunity for the American people to unite and demand wildlife management reform, and to take an important step toward restoring our national heritage. Unbeknownst to many Americans, over 3,000 gray wolves have been slaughtered across America, including around Yellowstone National Park, since certain segments of the wolf population were prematurely stripped of federal protections under the Endangered Species Act just a few years ago. The controversial delisting of the northern Rockies gray wolf was the first time Congress intervened and delisted a species in the 40-year history of the Endangered Species Act. Lengthy hunting seasons now occur in Idaho, Montana, Wyoming, Minnesota, Wisconsin and Michigan. Hunters are permitted to hunt wolves with dogs in Wisconsin. Barbaric trapping/snaring seasons exist in Idaho. The USDA Wildlife Services just gunned-down 23 wolves from a helicopter in a rugged national forest in Idaho. In just twenty years, the federal government has completely reversed its course on the biological recovery of the gray wolf, and is now in the business of wiping them out again. While many people are calling for relisting of gray wolves under the Endangered Species Act, others are saying that it is time to completely reform wildlife management in the United States. Ban trapping/snaring on all federal public lands. End grazing on all federal public lands. Abolish the predator-control department of the USDA Wildlife Services. Reform how state fish and game agencies operate. Introduce legislation to protect all predators, including wolves, from sport hunting, trapping, and snaring. Please consider attending Speak for Wolves: Yellowstone 2014. The only thing that can save the gray wolf from a second extermination is a strong grassroots movement consisting of every-day people. Let’s come together and embark on this journey together. Let’s make the world a better place, for not only current generations, but for those generations still to come. Learn more at www.speakforwolves.org or follow the event for updates at www.facebook.com/speakforwolvesyellowstone2014. 32 Responses to If You Find Yourself Near Yellowstone National Park this June, Speak for Wolves. What a beautiful website. I don’t know if I can attend the event, but I would certainly love to give a donation. I should clarify that when I was posting about compromise and principles, I didn’t mean that I was entirely opposed to ‘wolf-friendly’ beef. For those who feel they must eat it, they must demand it from ranchers if they care about our wildlife. Ranchers who do use non-lethal methods to protect their animals and with sincere intent to protect the environment and wildlife need to be more vocal so people know who they are and that they are opposed to this unconscionable, dishonest slaughter of wolves after they were delisted, at least as vocal as the anti-wolf minority. I’m just opposed to compromising away our national store to those who may have no sincere intention to reciprocate, and are just looking for a way to avoid and break down the ESA. The same thing that has happened to wolves is going to happen to grizzlies and other animals if we do not stop it now. I was reading that Gov. Mead was pushing for delisting even before the white pine study was complete! And with climate change, can we really be certain that as their habitat and food fall like dominoes, that the bears really can bounce to another available food supply? It’s all in jeopardy! Our government cannot talk from both sides of their mouths. These people do not care about the preservation of our wildlife and are just saying anything to get what they want. An outfitter from Jackson Hole (and a shady one at that) was quoted for his .02 on grizzly delisting, and what would he know about it? I have heard that the wolf species/subspecies that was introduced to Yellowstone was not the species/subspecies native to the area. Can you enlighten me on this? There is only one species of wolf in the NRM states, Canis lupus. As far as the subspecies go, depending on who you talk to it is either the correct or incorrect subspecies, and there is a mountain of debate on the issue. Those who say it is not like to refer to a smaller wolf, that ate voles, mice and hare (odd that Mowat was criticized for this by the same people). Most of any size differential can be explained away by Bergmans rule. Wolf behavior is wolf behavior. The reintroduced wolf is not a more aggressive subspecies. Probably best you do your own research on the issue, but as a forewarning, anti-wolf factions will have you believe a Godzilla sized subspecies that devours all in sight was brought in. Sorry, but that ain’t true. Ah, the hilarious red herring of an “alien” species, ruthlessly imposed upon a fertile, virgin landscape by a rogue government of jack-booted thugs. When will this fictitious tale ever die? This fable is on par with Little Red Riding Hood. In the early days of science (19th cent. and early portion of the 20th cent.) species and subspecies were “classified” and identified by morphological examinations; meaning size, color, skull shape, etc. These subspecies were not identified through rigorous genetic testing or detailed scientific analysis and research. Thus, the result in over 30 subspecies of wolves in North America like the Florida Black wolf, the Manitoba Wolf and the Gregory’s wolf. In the 1940s & 50s, it was suggested that these be reduced to 24 subspecies. In the mid-1990s, after genetic testing had started, it was suggested that these be further reduced to 5 subspecies. Now the problem with all this talk of gigantic Canadian C.l. occidentalis being brought down to replace the smaller, more timid C.l. irremotus is that these 2 “supposed” distinct subspecies had always overlapped territories, intermingled and are indistinguishable genetically. Considering the fact that wolves have been known to disperse hundreds of miles from where they are born (not unlike OR-7 who is more than 1000 miles from his home in Oregon and is in California), how exactly does a wolf know what state or country it’s in and when it’s left it’s “home range?” Unless the Canadian wolves are smarter than American wolves and can read – due to their better public school system. Americans were fairly successful in eradicating the wolf in the Northern Rockies during the last century. So, what happens when you remove a predator from an area where they can survive, and have lived for millennia? Well, usually, others of the same animal will move in from surrounding areas or another animal will replace it. Look no further than the resourceful coyote who has prolifically expanded to areas not previously seen because of wolf extermination in certain areas. To make a long story longer, the irremotus and occidentalis distinctions are based on information that is 50-75 yrs old and not based on current scientific research and understanding of genetics, species, and animal classifications. Nowak suggested as early as 1959 that there should only be 4-5 sub-species in the Americas. Not sure how much of that you’ve read comments on, but there are some real problems with them using SNP’s from European dogs (poodles and boxers I think) for genotyping arrays in vonHoldt’s study. The Smithsonian did a detailed DNA study on this prior to reintroduction and their conclusion was it’s the same wolf. I have a link to that study somewhere if you can’t find it. Look up what Teddy Roosevelt had to say about the size of wolves living in the United States in the Northern Rockies and Coast Range of Washington. I saw the mounted head of a female wolf taken during the early 1950s in the North Fork of the Flathead River area near Glacier National Park. She was killed in the spring and weighed about 135 pounds. Glacier NP still has this mount or did about 4 years ago. I was impressed by her size! How can we make the facts relevant to people? The facts have been mostly available for years – but does the general public outside of a few care about wildlife, really care about the science and the facts? Not as an ‘educational resource’ for their children, or a recreational resource for hunting or gawking at, or as a scientific curiosity, or something to be feared and eradicated as an obstacle? Perhaps the meat-eaters would have more influence on agriculture and the government if they would speak out, and they have been marginalized like vegetarians and environmentalists. How can we make it relevant to people? Education, you say – but we are fast running out of time. A thousand years or so years of learning, is it ever going to be enough? And now we are even going backwards. It isn’t a top priority for the government charged with conservation and preservation. sorry, that should read ‘they have not been marginalized like vegetarians and environmentalists. Maybe emotional appeals do have their place, ’cause whatever we’re doing now isn’t working. Of course, we need to work with the meat-eaters who constitute the majority of society, including those who consider themselves environmentalists. But there is no reason to endorse the public lands ranchers who advertise themselves as “predator friendly.” I am glad to see Brett was unable to find a “predator friendly” rancher willing to attend this event. There is no place for them at an event which aims to end grazing on public lands. I would rather see those who feel they must eat meat, or can’t stop themselves from eating meat, to get their meat from concentrated animal operations, and leave the public lands alone. It would be even better to reduce meat consumption; see the Center for Biological Diversity’s Take extinction off your plate campaign. We need to get ranchers off the public “free range” and not let the yokelvores get away with marketing the destruction of western lands as a healthy option. I will not be able to make it up to Yellowstone. I hope there will be some follow-up on the 5-point program to take wildlife agencies away from ranchers, trappers and hunters. Concentrated animal operations? By that do you mean factory farms? Besides being hellishly inhumane to living creatures, it isn’t healthy for human beings either, and with proposed ag-gag laws you won’t have any knowledge of how animals are treated or what it is you’re eating. With our continued world population growth, it is an industry that will one day grind to a screeching halt (yay!). There aren’t enough drugs and chemicals in the world that can sustain it. I’d prefer to see us go back to smaller family farms and older, soil-regenerative farming techniques, where at least the animals have a decent, more natural existence, out in the sun and eating grass. I drive by farms every day with beautiful, healthy grass-eating cattle. The Dust Bowl came about by industrial farming techniques, and the Federal gov’t was complicit and encouraged farming. Ida – the cows out here have a decent, natural existence (sun, grass etc, many on public lands 🙂 what makes the difference is where most end up eventually – at a slaughterhouse or a stockyard, on their way to a slaughterhouse. Yes, we all know where they end up. But in the meantime, how they are treated is quite different. It’s a copout of an argument to fall back on, to say that they all are killed anyway, so what difference does it make? I agree with Gary’s post – well- managed livestock replenish the soil, and perhaps there are places where livestock should not be run due to lack of water, etc. There’s a cyclical, give-and-take with well-managed, organic and crop rotation farms and ranches, that you don’t get with solar and wind farms and development. Factory farm waste is a major polluter, and with millions of animals killed on a daily basis, the amount of it is staggering. People probably are always going to eat meat, and also agree with Paul Edwards’ post – we’ve made it less of something that is for a special occasion and now accessible to anyone, but at the expense of treating living things like non-living commodities. This is only going to get worse at time goes on, and it is not sustainable. Our entire modern way of life is unsustainable, and it is going to take quite the effort to slow our runaway freight train of a way of life. As long as we put our needs, no matter how trivial, above all other creatures on the planet – we just don’t get it. My primary concern is for the wildlife. I do not accept the propaganda from Alan Savory, Michael Pollan et. al. that we should support local public lands ranchers as an alternative to agribusiness. Now that Cliven Bundy has exposed the true nature of public lands ranchers, we have the opportunity to work against them. As the Center for Biological Diversity has pointed out: grass-fed cattle are responsible for more greenhouse gas emissions than those raised on grain feed — as much as 500 percent more — in addition to requiring more land and water per pound of beef. Replacing meat one day per week with a plant-based meal saves more greenhouse gas emissions than eating an entirely local diet. Not according to the UN. It is deceptive to just point to greenhouse gas emissions. Who is causing the greenhouse gas emissions? If we didn’t have an overpopulation of humans, we wouldn’t have an overpopulation of cattle. But of course it would help somewhat if we ate less meat. Even the President’s latest carbon plan is somewhat deceptive because it is using 2005 figures – so the coal plants are already part way there. But at least is is something and a start. I agree with 4 of the 5 keys in reforming wildlife management but removing all grazing from public lands is not based on science. Managed grazing is not the problem, unmanaged grazing is the problem. The reform how state fish and game agencies operate is very generalized but I’m sure it will be more specific during the conference. Rangelands evolved with grazing (bison) creating a landscape with one of the greatest diversity of species anywhere on earth. Grazing actually provides benefits as the soil is tilled by hooves, nuturients from feces and urine are added, predation decreases as predators avoid grazers and there is less cover for predators to hide in. Grazing also provides a periodic disturbance necessary to maintain ecosystem productivity. Grazing dislodges ripe seeds which are sown into the soil by trampling, thus improving seedling establishment. Grazing removes residual growth and returns organic material to the soil, which improves the soil, makes plants more palatable, and improves forage quality. Managed grazing can result in increased forb cover and diversity, and secondarily increased insect availability. Ending grazing on all federal public lands is similar to killing an entire wolf pack if only one member is guilty of livestock predation. Instead of ending grazing on all federal public lands, unmanaged grazing must end on public lands. The BLM and USFS are responsible for managing grazing on public lands and when they are found irresponsible in their duties, they must be held accountable. Easier said then done but if we do not try, then we have no one to blame but ourselves. Lack of control at the keyboard appeared several times, this being the best example. I’d classify it as false. The wolf: Majestic, fierce, loved, hated, once protected, heavily managed. But alas, the beaver. Non-predator, ecosystem engineer, keystone species. Trapped at will, with barely a breath. Who will support it? Who will add it to the list of Wildlife Services “Do Not Kill” list? Who will defend its right to be the iconic spirit of the West. I hope that both meativores and vegivores speak for the beaver too. I agree beavers are just as important. Mike, Totally agree that beavers need to be on the “do not kill list”. They are definitely a keystone species that reduce flooding, provide wetland habitats for fish, amphibians and numerous aquatic species, improve water storage and the list goes on and on. I believe the main reason beavers are trapped is due to the possibility of roads being washed away. During extreme storm events (50 and 100 year floods) their dams could be washed away causing a potential situation for road failures downstream. However, under extreme storm events beaver dam failures would not be a factor for road failures. Another reason for beaver trapping is their cuttings sometimes obstruct water flow through culverts. There are effective devices that are installed into culverts that prevent obstructions from occuring. I can’t say that I really agree with any of the 5 objectives on the list. There is often much talk of skepticism by posters on this website towards the way that states manage wildlfie especially predators and the recent post about the Montan Wolf Stamp shows that so let me express my skepticism of these objectives. 1. If you don’t like to trap, then don’t trap and don’t tell me not to. If you can do that then I promise I will never force you to do it. This is a personal ethics choice and there is a lot of misinformation about trapping that is used to try and end the practice that is not true. 2. Grazing is not the problem, the problem is a lack of management to ensure good grazing practices. Range fees need to be increased and the number of animals allowed on each allotment needs to be decreased. THe additional funding can be used to better monitor livestock impacts and excessive use should result in immediate removal without refund of fees. Wildlife should recieve priority, meaning that we should not be killing bighorn sheep to make room for domestic sheep. In these conflict areas, perhaps grazing should end or maybe only cattle should graze in areas that overlap with Wild sheep habitat. 3. I’m actually fine with this one, I don’t like subsidies and this servie subsidizes ranchers business. However, everyone should be aware that this will push the cost of predator control onto the rancher who will either trap and poison predators himself and with less restraint than USDA Wildlife Services exercise or he will hire a private trapper. Either way it will increase his costs, a cost which he will then pass on to the consumer. Meat prices will go up. I’m fine will all of that but I think if you put it to a vote with the general public the majority don’t want their hamburger to cost more. 4. See the Montana Wolf Conservation Stamp, If you can’t get on board with that then you aren’t serious about reform. If it works in Montana to increase revenue and take the pressure off of their other funds that are provided by hunters then other states may follow suit. 5. I don’t agree at all. Personal ethics and choice again. You don’t want to hunt or trap that’s fine I won’t make you. I do hunt and some years I trap. If the overall population of predators is stable then why is this a problem? Yes, predators have a natural and scientifically important place in the environment but hunting and trapping does not diminish that if populations are stable. Yes individual animals are killed and if that hurts your feelings then don’t be a part of it but one’s personal ethics do not give them the right to force others from the practice just like I do not have the right to force them to pull the trigger on an animal. Perhaps if the focus of “Speak for Wolves” were more on habitat improvement and protections it would do more to help wildlife than to attack the methods of another large group of wildlife supporters. I’m mostly on your side, and miss your absences, but you said stuff like that twice, and that’s not really the way the world works if it is found that a majority agree about some ethical stance. In MI we don’t permit hunting of robins, no matter how many Audubon may have dined on, and no matter than we have gazillions. We aren’t allowed to shoot deer when they are crossing lakes, and we can’t snare them. Those bastards, telling me what I can and can’t do. I’ve got lots more. If it’s just one person telling another what they can do, you have a point. If you found the author annoying, I’m with you: “The only thing that can save the gray wolf from a second extermination” my eye. You are right the world doesn’t work that way but that was point of building a country where although the majority rules the rights of minority should not be infringed. It has become very common to vote in bans on practices that some group doesn’t agree with. I would just prefer to see all these special interest groups adopt a live and let live policy towards one another. See you there, Brett! The time for wildlife management reform is NOW. Logan, I was going to respond to your #1 point last night, but waited. I think this sentiment holds for some things but not for other things. It isn’t as simple as “If you don’t like to trap then don’t trap and don’t tell me not to trap.” Trapping is an ethical issue because of the pain and suffering of the animal trapped. There are plenty of examples in our social construct where this sentiment won’t hold. As individuals we don’t get to do anything we want to do and simply tell others if they find it an abomination then simply don’t do it. The only instance I see trapping as acceptable is when a researcher needs to capture the animal to collar or to measure, medicate, etc. Trapping causes pain and suffering. That is undeniable. It is unethical, immoral, and ecologically unsound.